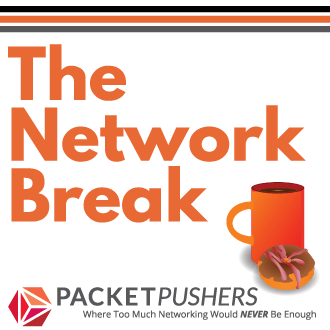 Many people have asked for career advice on living and working in the Networking Industry. I’ve covered this many times, in many articles and I’m kind of tired of the whole issue. So here, I hope, are my final comments on managing your career, keeping a balanced viewpoint and getting on with whatever life you choose to lead. This is just my thoughts, you should have your own, and adapt them to your own lifestyle. Many people don’t seem to be able to think long-term and can’t imagine three to five years ahead but you are going to be needing a job for thirty, forty or fifty years. You need to think about career in terms of one, five and ten-year plans. You need to be changing it as the industry, the economy, the local area changes and, even more so, as you change over the years. My advice : It’s easy to think short-term about your career, but have you got a five-year plan ? If you don’t know what you are aiming for, how are you going to get there ? And it’s probably best to write it down and put it on a wall somewhere. Now that Cisco is changing to a new business model and aligning itself with EMC and directly competing with HP, Dell and IBM, you may find that you are not working with Cisco products anymore. If your company decides that HP has the best overall solution for all products, you might be working on HP Network gear, or Juniper, or whoever. In fact, I’m expecting that Cisco will shrink significantly as a networking vendor since there isn’t any more growth from an 85% market share. 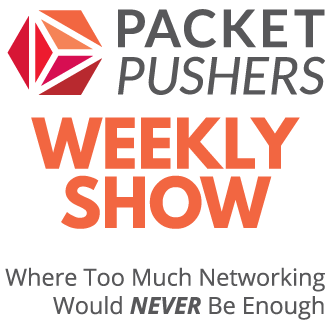 My advice : It’s networking knowledge that is your unique and valuable skill. Not knowledge of the Cisco CLI or products. Take the time to learn the fundamentals – knowing how and why OSPF works is far more important that what commands to use. Why ? Because your current employer probably won’t be around in ten years. I saw a statistic recently that less than 25 companies were on the Fortune 500 thirty years ago. And yes, your career lasts even longer than that. It might be merger with a another company, or a buyout, or your job gets outsourced. It might be a manager or person that you can’t stand. It might be a family emergency or an earthquake that destroys your town. Or maybe you have a mental breakdown or have a personal crisis. My advice: Have a cash stash with two or even three months of money. I can’t describe that unbelievable freedom that this will give you. PS: It doesn’t have to be cash in the bank – it could be advance payments on your mortgage that you can redraw, or just having no balance on your credit cards or some other device that lets you take three months to find the next revenue source. Oh, and there are times in your life when having no cash buffer is perfectly reasonable: like buying a house, or having a baby. Just get it back together. Work out how to live for three months with no income. Never, never, ever think that you can’t be replaced. Because you can be. It might not be easy or even cheap for your employer but you can ALWAYS be replaced. If you are the “goto guy” for COBOL on a the Mainframe, you might have problems convincing your managers that you are the best person to lead the solution design for a new Data Centre. But much worse, is the “thinking” or “mindset” that thinks that way means that you stop growing or changing. And that’s a career ending move. A career in networking means that you are always learning. If you don’t like that then move into management where the problems and processes are always basically the same and just repeat over and over. This means your career WILL change. Electronics Technician – repairing computers with a soldering iron and an oscilloscope and other electronic stuff. Computer Guy – repairing Z80 computers, then Intel 8088/8086 based computers with DOS 2.0 and so on. In 1996, one of the highest levels of networking skill was to be able to configure a frame relay network and get NetBIOS working reliably. In 2010, it about MPLS network cores, and L2 Mobility in the Data Centre, or Converged Networks. My next career change is probably to retrain into VMware in the next few years and work in Data Centres for the next ten years. After that, I’ll be 55 years old as it’s probably time to move into semi-retirement as a project manager to take me into retirement around 65. My Advice: The world is going to change around you, plan for it. Change the plan as often as you need. I continue to attend vendor presentations, conferences and read a lot of blog posts. I get new ideas, fresh perspectives, and new knowledge from the vendors. The more you go to, the more you realise that the difference between vendors is small, kind of like the difference between Ford and BMW cars – features, performance, capacity but they all do the same thing in the same way : wheels, engine, seats, fuel tank, etc. The main aspect here is to keep thinkingand re-thinking about what is happening in the world around you and consider what it means to your skills, careers and the company that you work for. Keep your mind flexible and open for new opportunities. My Advice: Things change all the time. Try to see them coming. Be flexible and adapt. This is much more important as your career progresses and, if you choose to reach the top, since you may not have other people in your team who do the same role as you. In Networking, it’s common for even large companies to have just a few Networkers and means you may not have people to bounce ideas, consider mistakes or perform reviews. Having buddies whom I can contact for advice on problems, and be my Rubber Duck , or act as sounding board for career advice has been one of the best things I’ve done. My advice: Plan time to phone them up and talk. Get together socially when you can. If you choose a professional career that leads to promotion and advancement, then plan to be excellent. Realise that you will have to work hard to be excellent. When your peers and managers think you are a valuable team member, then you will be picked for difficult projects, for more training, for more responsibility. This is being valuable. Being worthy means delivering. It means getting results, getting it done, meeting your promises. It also means going for help when needed, engaging with your teammates to solve the entire solution. Be worthy: means be reliable, be honest, admit your weaknesses and help others. Be Cost Effective Understand that you cost the company money. If you MAKE the company more money than you are paid, then you are likely to earn a pay rise. Always strive to make a profit for your team, department and company and the world works better. My Advice: Know what it is that makes a profit for your company or business, and deliver that. When you can, go home. Sometimes, your working life can fill up all the hours you care to spend. That’s not the purpose however, the purpose is to go home and do personal stuff. Wife, kids, sport, whatever. When the chance comes, take it, and you will enjoy what you have achieved. understanding that your manager cares about you only after his career, his boss, and his family and key team members are looked after. If you can realise that it’s all up to you, then that is the most important thought I can pass on. No one else can make you a smarter, learned, motivated, organised, structured, well adjusted, socially complete individual. That’s all you. So, sit yourself down, decide what you want, work out if and how to achieve, and just get on with it. That’s my career advice. Go do it. Greg – Very well put! It’s always nice to see others that share your opinions and views. Amen Brother. I have seen it happen, and been the victim myself when people get pushed under the bus. And to build on what you said about having an Exit Strategy. Its easier to look and find a new job when you don’t need that job. CV’s, cover letters, networking, and Interviews are much easier and less stressful when you don’t look desperate. A HUGE +1 for “work to live, don’t live to work.” Great article. I think I should reread it once in while, as a reminder. Thanks again, Greg. Good advice. Thanks for this article Greg! As a CCNA student considering a career shift it gives me lots to consider. Cash cushion is my favorite, and being willing to change/shift of course. I’m recently unemployed and have the cushion so it’s awesome to do things for ME while looking for jobs that fit and are going to be “fun”. My last job was great but position was eliminated so after a long time there its time to spread my wings and try to fly somewhere else. I probably should have looked about three years ago, oh well, better later than never. Easy to look back and realise your mistake. Thankyou for this incredible support. Very good article.I am a complete novice and currently studying for CCNA. Your sound advice has given me a lot of food for thought as i will soon delve into my career. I will always keep your advice in Mind. Thank You sir for the good advice. Thanks a lot Greg!This is a great post ,something I can actually consider to implement in my life, also great source for my research paper over a networking career : ). Fantastic write-up. I think a lot of this can be applied to any profession but is especially tailored to our backgrounds in networking. The information is even more important in today’s globally competitive marketplace. very useful advices an I like the idea of 5 years plan. Would like to add that everyone should have such a plan during each and every job interview. Great article Greg. Thanks for sharing on G+. IMO “Have an Exit Strategy and a Cash Buffer” is one of the most important things from your advices. It’s a mind changer with education and moving to other positions. I have so much friends that live from 1st to 1st (that’s a Polish terminology :)) and they won’t leave their job or risk and ask for an expensive training, etc.